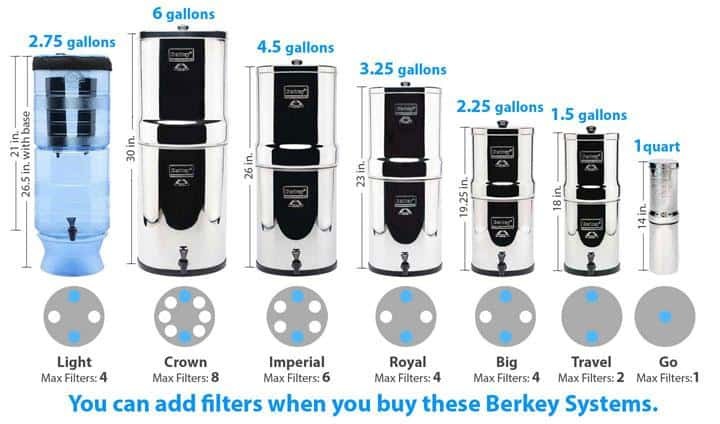 I want to buy one of your filters but I am not sure which size to get. There are three adults in the household. Should you consider serving the water when you have guests and cooking with the water, when you choose the size? Hi Tracy, for a family of 3, Big Berkey is sufficient. If you are using it for cooking, I would recommend that you go for the Royal Berkey. 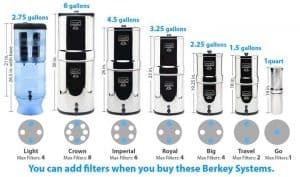 It is 1.5 times the capacity of the Big Berkey and it is merely $30 extra. You don’t need to refill the water that often. Probably once a day for the Royal Berkey.